Here at XEN, we want to make your life as easy as possible. 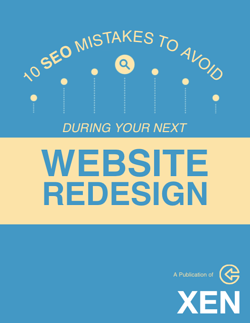 That's why we've developed this ebook -- so that you can learn how to avoid costly SEO mistakes on your next website redesign project. This free, 20-page guide helps you to avoid some of common SEP mistakes companies make. Grab your free copy over on the right, and ensure your next website development project is on the right SEO track!